Christian Michel was allegedly one of the middlemen who brokered the AgustaWestland helicopter deal and paid bribes to officials and politicians. 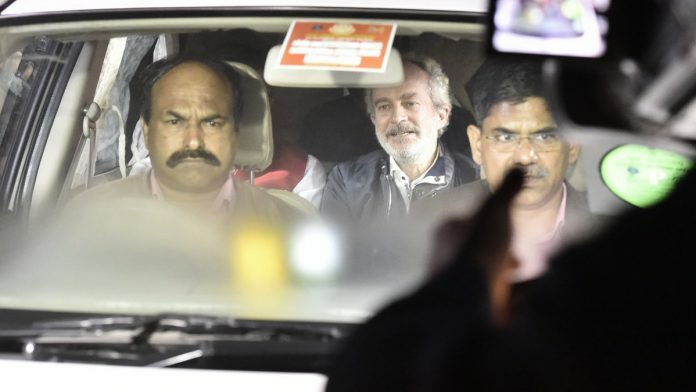 New Delhi: British national Christian Michel’s extradition to India Tuesday night has brought the focus back on the Rs 3,600 crore AgustaWestland VVIP chopper scam that had rocked the last few years of the UPA-II government. Michel was allegedly one of the middlemen who brokered the deal and allegedly paid bribes to officials and politicians to swing the contract in favour of AgustaWestland, the British arm of Italian firm Finmeccanica (now known as Leonardo). Michel’s extradition is a shot in the arm for the BJP government ahead of the state assembly polls and next year’s Lok Sabha elections, and is expected to provide political ammunition for the party to use against the Congress. Indian agency officials are hoping that Michel’s extradition will bring further details on the scam tumbling out. What led to the scam? Soon after the Kargil War in 1999, the Indian Air Force communicated the need for modern VVIP choppers to replace the Mi-8 choppers, which were getting phased out. The helicopters were meant to ferry the President, Prime Minister and other VVIPs. Acting on it, in 2002, the Ministry of Defence floated a request for proposal (RFP), to which six companies responded. Among them, only Eurocopter-225 met the initial requirement put out by the IAF that the choppers should be able to fly at a height of 6,000 metres. However, the Special Protection Group flagged the low cabin height of 1.39 metres, and stated that this design was not fit for VVIP conveyance. It was then decided to modify the RFP, both in terms of the height at which it can fly and also its cabin height. The new specifications — a lowered flying ceiling of 4,500 metres and an increased cabin height of 1.80 metres — were authorised by then-IAF chief S.P. Tyagi. In 2006, the new RFP was floated and only two companies qualified — Sikorsky and AgustaWestland. In 2010, the Congress-led UPA government signed a deal with AgustaWestland to purchase 12 AW101 helicopters for the Indian Air Force for Rs 3,600 crore. The first of the choppers arrived in India in 2012; two arrived later. The three remain grounded at Delhi’s Palam airport. Controversy erupted over the deal in 2013, when Finmeccanica chairman Giuseppe Orsi and AgustaWestland CEO Bruno Spagnolini were arrested in February on charges that they bribed middlemen to clinch the deal with the IAF. The middlemen in question were Guido Ralph Haschke, his partner Carlos Gerosa, and Michel. The UPA government ordered a probe against the alleged middlemen and beneficiaries, and in 2014, it cancelled the deal on grounds that the integrity pact was violated. The government recovered most of the money paid to the Italian company for the contract, but questions were raised on the role of then-PM Manmohan Singh, UPA chairperson Sonia Gandhi, and defence minister A.K. Antony. In 2016, an Italian appeals court ruled that the Rs 3,565-crore contract involved payoffs to Indian officials. Orsi was sentenced to four-and-a-half years in prison, while Spagnolini was also given a four-year jail term. The court ordered the two executives to pay 7.5 million euro, corresponding to the amount which was allegedly paid in bribes to Indian officials. Tyagi’s role came to the forefront during the CBI investigation, and he was arrested in 2016 by the CBI for approving the tweaking of the specifications, which is alleged to have won AgustaWestland the contract. The CBI, in its investigation report, said the IAF had vehemently opposed suggestions of lowering the altitude requirement before Tyagi took over as IAF chief and agreed to reduce the height requirements to allow AgustaWestland to re-enter the bidding process.